CMG Live Account provides immediate access to all available trading platforms below. MetaTrader 4 is also available on mobile devices through CMG mobile platform. 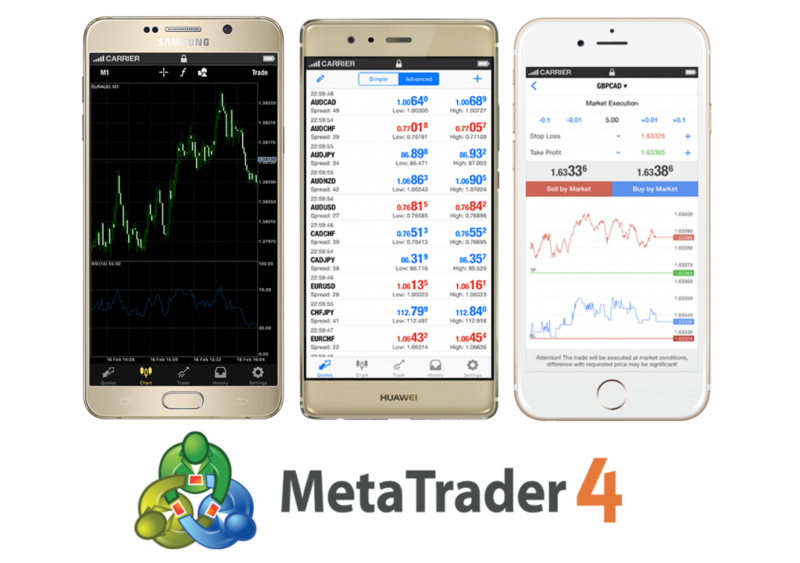 CMG mobile platform is suitable for traders who desire to analyze the market and execute orders on the go through MetaTrader 4. CMG mobile platform is seamlessly connected to your main CMG MT4 Client Terminal, providing you with real-time trade flexibility. CMG MT4 allows clients to trade multi-assets under one account on the same platform to diversify their risk management strategy. A variety of FX currency pairs, metals, oils, and CFDs are all offered on the MT4 platform. Implement trading strategies using the MT4 platform by automating your trades. Trading strategy can be formalized and implemented as an Expert Advisor (EA) – a software program that allows for trade automation*. CMG MT4 platform is compatible with Expert Advisors so that you can automate your trading strategy. * CMG bears no responsibility for the performance of these trading systems and will accept no responsibility for losses arising from their use whatsoever. CMG MT4 Client Terminal has advanced charting capabilities and 30+ pre-installed indicators built into the system to help support your trading. With a live CMG account, you have immediate free access to CMG set of research tools. Search MetaTrader 4 in the App Store or click the link below. Search MetaTrader 4 in Google Play or click the link below.